County-Durham-based Quantum Pharma Plc, the growing service-led niche pharmaceutical manufacturer, developer and supplier to the health and care sectors, has acquired NuPharm Laboratories for initial consideration of £9.34m and a maximum of £4 million potentially payable under earn-out arrangements. NuPharm is a UK-based, outsourced manufacturer for solid and liquid dose small batch-made specials and niche licensed pharmaceutical products. In addition, it has product development expertise and is a clinical trials product manufacturer. It also has product development expertise and is a clinical trials product manufacturer. NuPharm operates from facilities in North Wales and currently holds MHRA licences for Specials Manufacturing, Full Manufacturing and IMP (Clinical Trials). The acquisition of NuPharm provides Quantum Pharma with a further platform to greatly extend its manufacturing capabilities which have, until now, been largely limited to the production of single, bespoke formulations that are made-to-order. The acquisition will introduce batch manufacturing and licensed product manufacturing capability to the Group, and provide a number of opportunities for beneficial synergies. 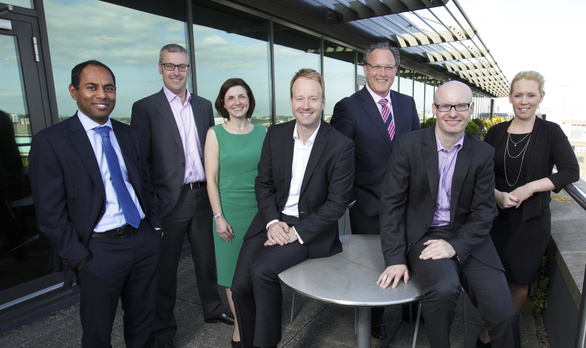 The corporate team at Newcastle-based commercial law firm, Muckle LLP advised Quantum Pharma on the acquisition of NuPharm Laboratories Ltd and on securing new banking facilities with Royal Bank of Scotland and Lloyds Bank plc, comprising a term loan of £25m and a revolving credit facility of £10m. The Muckle corporate team involved solicitor Stacey Hall and commercial team partner Alex Craig with associate Nicola Barnett. The banking work involved partners Louise Duffy and Kevin Maloney. A core team that has advised Quantum Pharma on acquisitions and corporate transactions since 2008. This latest acquisition comes after Quantum Pharma acquired the European Lamda group of companies that are pharmaceutical contract development specialists, for £6.9m in April this year. For more information on this deal or any other corporate query please contact Andrew Davison on 0191 211 7950.